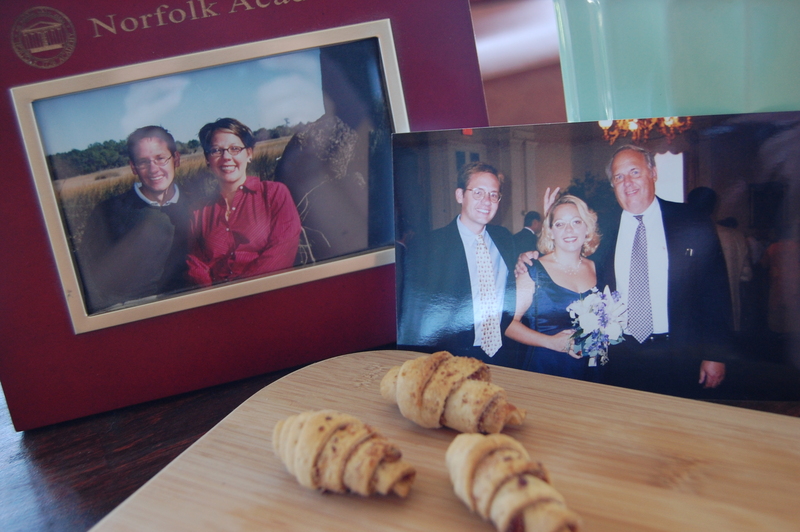 Growing up my Mom was the one in the kitchen most days making dinner for the family, but my Father did have a few specialties. Some good, and some just fun to remember! He made great burritos, I still make them the same exact way at home for my family. He also made great pancakes and held his own as the grillmaster. He did make spaghetti one time, and I’ll just say it was only once, and Sir Ryan and I are still talking about it. There are a few other traditional things my Dad makes during the holiday season, Nut Bread and Mincemeat Pie. Now- the nut bread always disappeared within the same afternoon, but the mincemeat pie lasted a bit longer, it wasn’t our favorite. 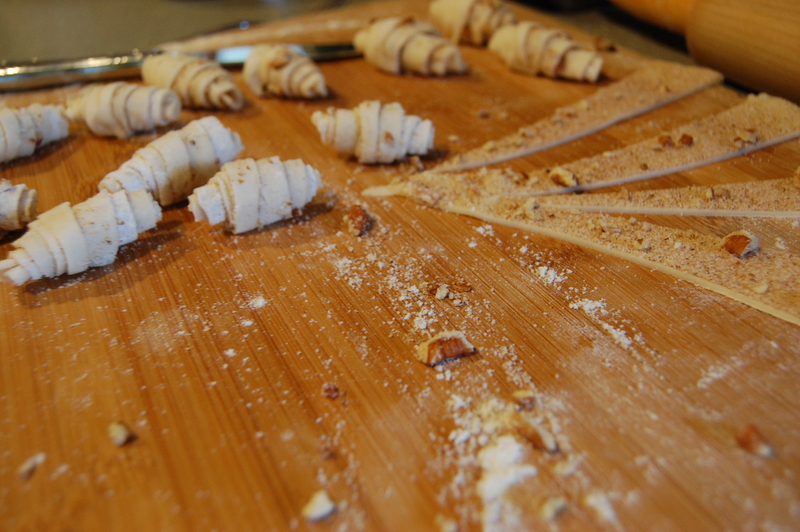 But with the mincemeat pie came something we loved…Doughboys, made out of the pie shell scraps. 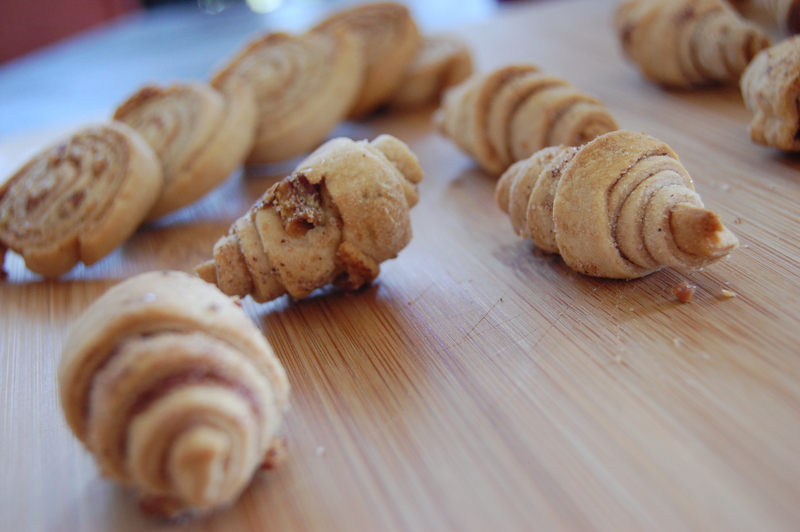 A little cinnamon and sugar sprinkled and then baked, brought us to the kitchen like little dogs, begging for scraps. Gone in minutes. My Dad was the only one that made them right! With all the pies being baked in the kitchen over holidays, I think the Doughboys were the saving grace, from having one of us sneak a slice before dessert was served. 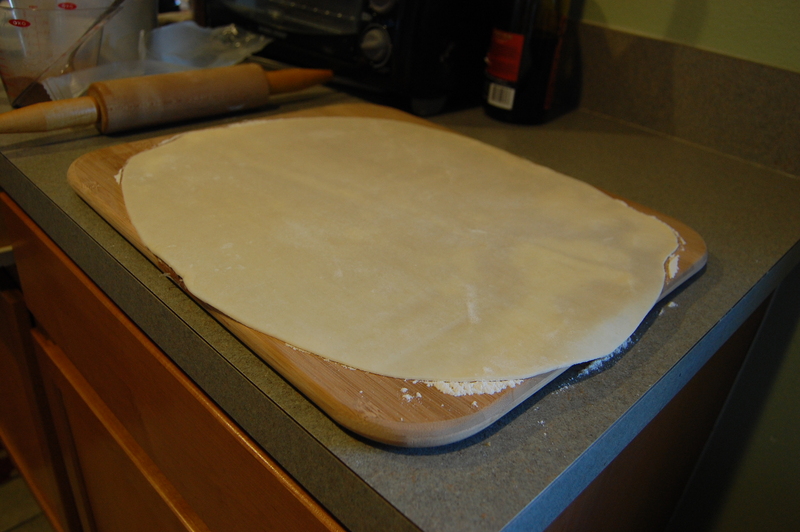 Roll the pie dough on floured surface a little bit thinner then you would a regular pie shell. Combine the sugar and the cinnamon, mixing well. 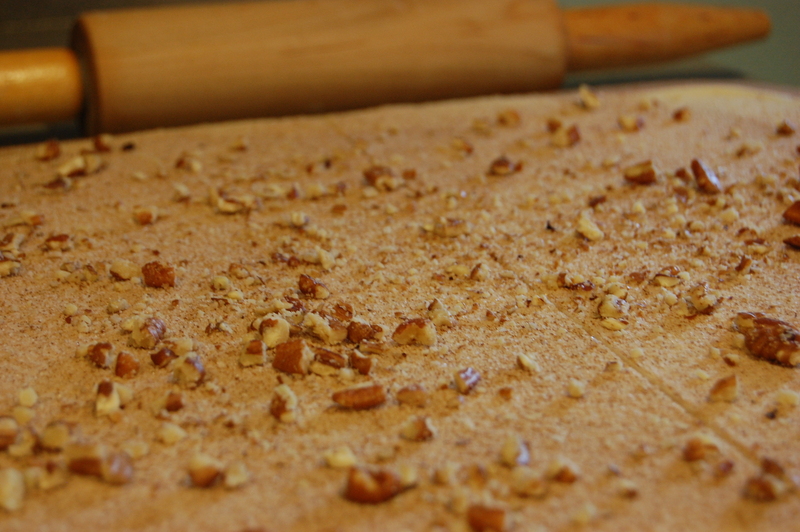 Sprinkle the mixture over the pie dough and spread the nuts evenly. 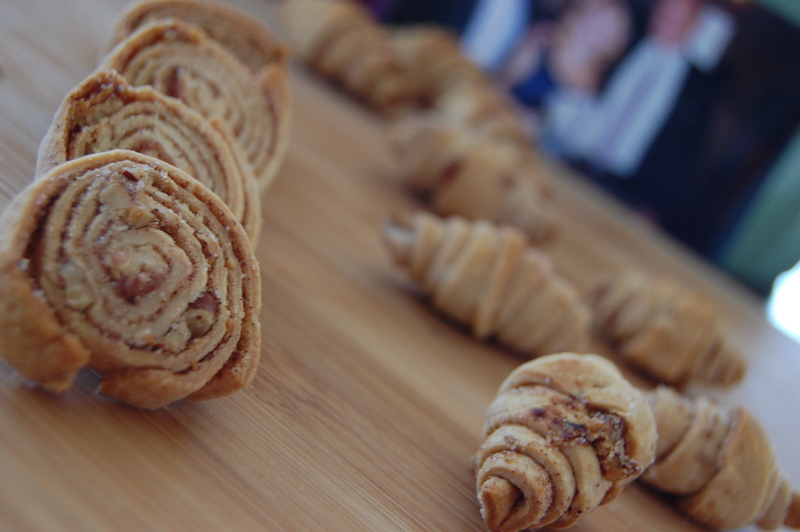 Cut the dough into thin triangles and roll into small croissants. 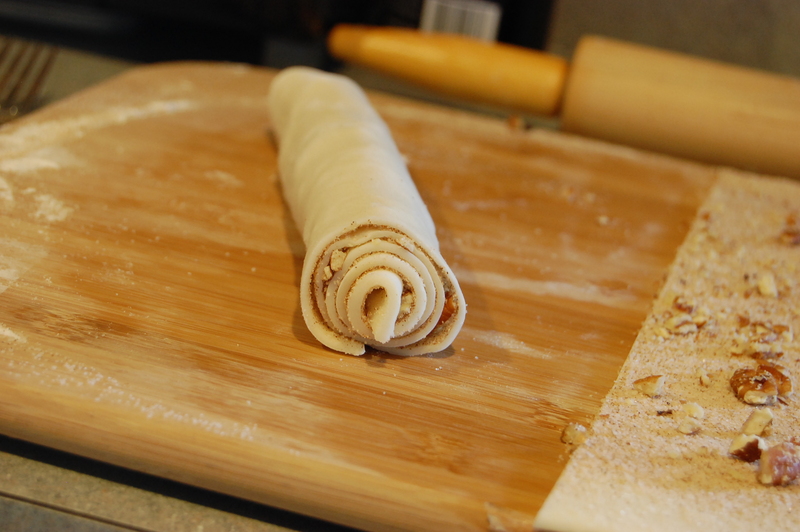 I took half of the dough and rolled in a tube, threw it in the freezer for 10 minutes and then sliced it to make wheels. Place on parchment lined baking sheet. Bake in an oven, set at 425 for 15-20 minutes until golden brown. Allow to cool and hide one for yourself before they are all gone. Of all the meals and treats my Dad ever made, this was my favorite, this was something that only came around once or twice a year but they were heavenly. He has many talents, a couple of them in the kitchen, a few on the golf course, a lot in the business world but what he is best at, is being a Dad! 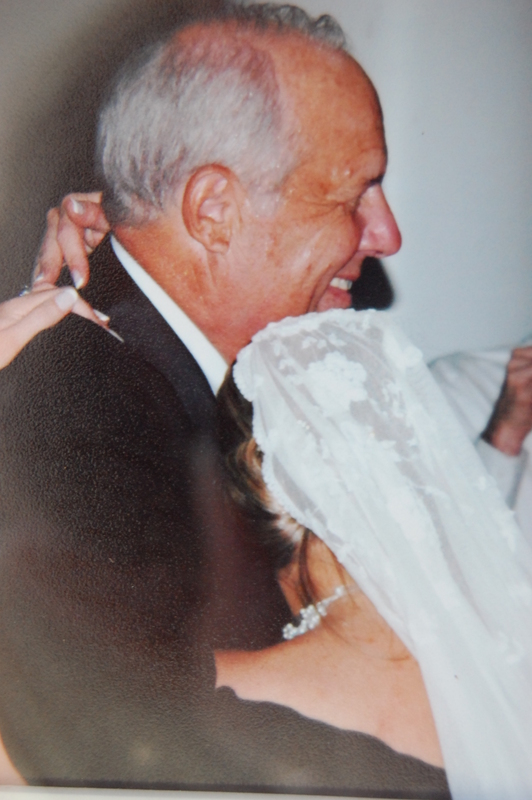 Thanks Dad for being a loving Father and a trusted compass!